UDPATE: Cayla has been found safe. Authorities in Michigan need your help finding 29 year old Cayla Kaminski. Cayla was last seen on the afternoon of Monday, July 9, 2018 leaving her home in Saint Clair, Michigan. Since that time, nobody has seen or heard from Cayla. However, her cell phone was pinged near a Flint, Michigan tower around 4:08 pm on Monday, July 9, 2018. Family is concerned about Cayla's well being, as her phone is off and has no credit card or money. Cayla is described as a white female with light brown hair and brown eyes, 5'1" tall, and weighing 120 pounds. Cayla has a tattoo of a big flower on her left hand and and a cross tattoo under her right wrist. 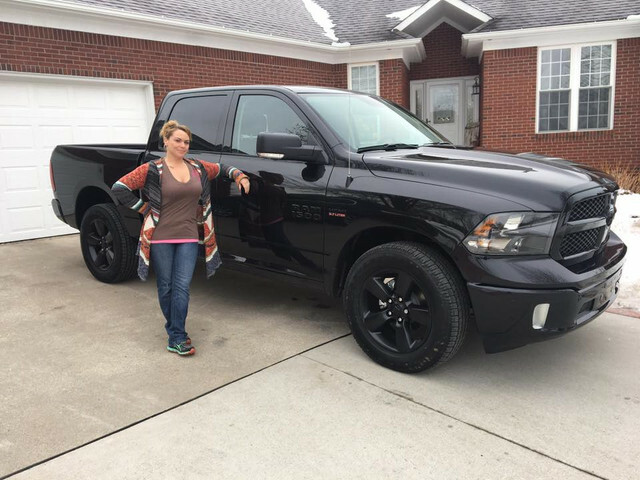 This is the truck Cayla was last seen driving, a 2018 blacked out Dodge Ram truck with black tinted windows and Michigan license plate number DFT5024. Cayla also has a Monroe piercing on her upper lip and was last seen wearing a black sweatshirt and black yoga pants. If you have seen Cayla or have any information about her, please contact the St. Clair Sheriff's Office at (810) 985-8115. If you have five seconds, copy and paste this #PL8PIC link to social media as a public post, tag several friends, and use the hashtag #findCaylaKaminski to help this alert go viral. You never know. You might just help save a life.